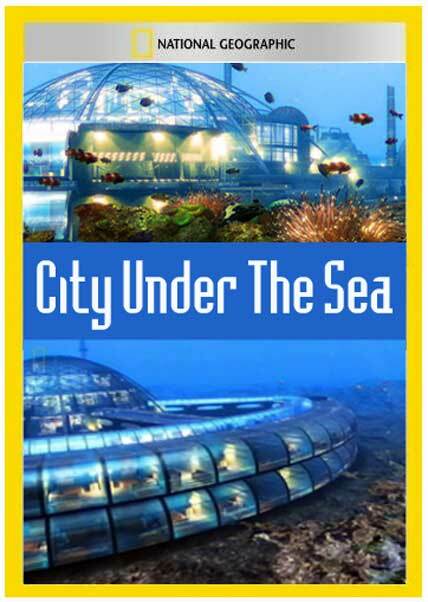 The City Under The Sea documentary suggests that one day in the future humanity may take the dive to living underwater. Why we would want to live underwater is mind boggling to us, considering we know more about the moon than we do our own oceans. And with all this good land around…. 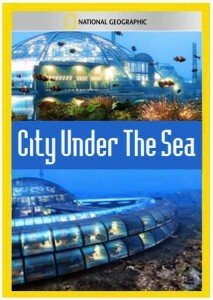 A scenario involving an undersea colony forming under the water in the Atlantic Ocean is illustrated. We guess they want to build a real life submerged Atlantis or something. For some reason they feel we may need to adapt to living underwater in crushing pressures. Over 75% of the earth is covered with water. The sea over 7 miles deep in some places and with a burgeoning population we can’t afford to have over 3/4ths of the earth unused. No human has ever lived in the ocean on a permanent basis. One marine biologist has plans to move in…. underwater. Whether or not he has a substance abuse policy was not disclosed. Obviously, water tight super structures, likely domes, would be needed to facilitate a move to the depths of the sea. We have better maps of Mars and The Moon than we do of Earth’s oceans. For some odd reason, prospective locations for underwater cities are near volcanic ocean ridges. There is an attempt justify this in the documentary for the sake of food, but we find it laughable. One of the interesting points cover is the profit potential of industrial purposes. The business would be based on mining the gases coming out of the ocean floor because it offer easy access to metals. Sea money.